October 31, 2016 - Many potential FHA loan applicants want to know if they qualify for an FHA loan. “My credit score is XYZ”, they say, asking if that makes them eligible for loan approval. But credit scores alone aren’t enough. A lender wants to see your “big picture” financial qualifications to determine that you are a good credit risk. What does a borrower needs to know when preparing to apply for an FHA mortgage? There is a list of items to pay attention to that does include FICO scores; you may find that lenders are looking for FICO scores averaging between 620 and 640. Naturally, lender standards will vary, so these are not exact numbers, but rough guidelines. The list also includes the applicant’s most recent 12-24 months of payment history on all financial obligations. A minimum of 12 months of on-time payments is critical for loan approval, but the better your payment record is, the better your chances for a new loan. The lender will also examine the type and duration of your employment, and the amount of down payment you have. When it comes to the down payment for FHA mortgage loans, 3.5% of the adjusted purchase price is the minimum required down payment, but may be higher depending on credit issues, whether the loan meets certain criteria or not, etc. A participating FHA lender also needs to make certain calculations that affect whether or not you are qualified for an FHA home loan. 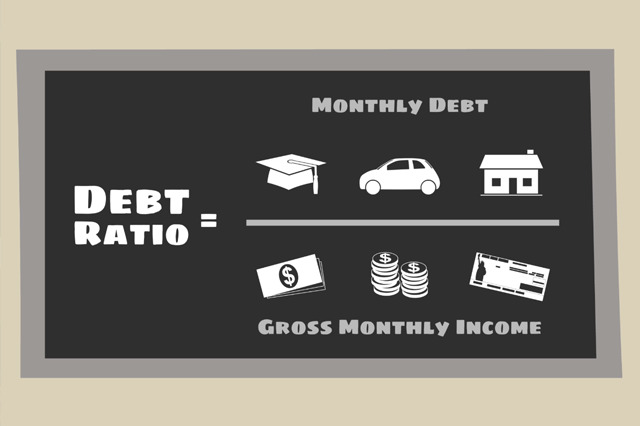 One of those calculations is your debt-to-income ratio (DTI), which is directly tied to your income and personal debt. FHA home loans do not have a minimum income dollar amount specified, nor do they have a maximum dollar amount you can earn and still be qualified to borrower. The FHA lender, as part of the loan approval process, reviews your “verifiable income” (income that meets FHA standards for stability and reliability) and compares that income to your financial obligations-including your projected monthly mortgage payment-to see what the percentage of total debt compared to the total income (calculated monthly) might be. The debt to income ratio is a big part of the lender’s ability to approve an FHA loan application. Is it possible to speculate on loan approval based on approximate DTI numbers whether loan qualification is possible? In a general sense, yes-borrowers with a debt to income ratio at or higher than 50% for example, may have a difficult time getting loan approval unless there are compensating factors. This may sound complex, but it’s a standard part of the loan approval process. FHA loan applicants unsure if they financially qualify have the option to call the FHA directly to request a referral to a local, HUD-approved housing counseling agency that can help with pre-purchase planning, budgeting, and credit issues.